Few Nolder first made an impression with the crossmatched micro house, disco and electronica styles of his debut 12" on Mu last year. 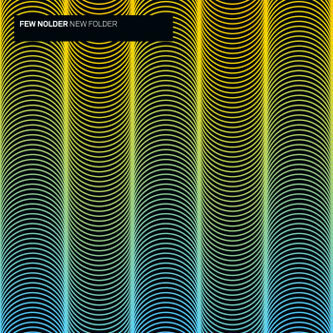 'New Folder' is his debut album and explores these styles with a considered musical talent drawn from his past as a professional piano player in Lithuania and a range of local vocal talent. Few's sound is achingly clean and manicured but manages to evade the pitfalls of much minimal and micro house with an expanded imagination and simple but crafty melodic developments. It's a slight departure for Planet Mu, but once you're tucked into the set you'll realise theres a melodic sensibility that's got Mu in it's veins. Fans of Arctic Hospital, Andreas Tilliander or Brothomstates should put a brew on and get into this.